Superstitions remain rife even as belief has ebbed away. Koreans wish each other good fortune in their New Year's greetings, regardless of their religious or spiritual orientation. 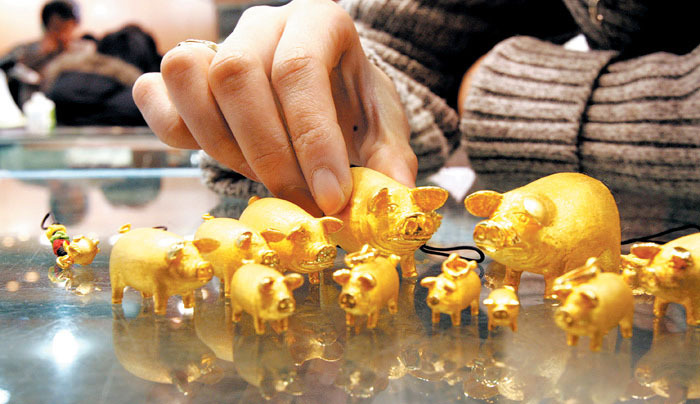 The year 2019 is the Year of the Golden Pig, which is particularly lucky, symbolizing prosperity, good fortune and fecundity. That means it will probably lead to a spike in weddings. Statistics prove it. More people are born in the Year of the Pig than in any other of the 12 animal years of the Chinese zodiac with 3.79 million, followed by Dog with 3.78 million, and Rat with 3.58 million. At the bottom of the table was the Horse with 3.29 million people, and next up were Rooster and Snake. For every 100 people born in the Year of the Pig, there are only 87 born in the Year of the Horse. Statistics Korea started compiling figures on newborn babies from 1970, so estimates were used for those born before then. 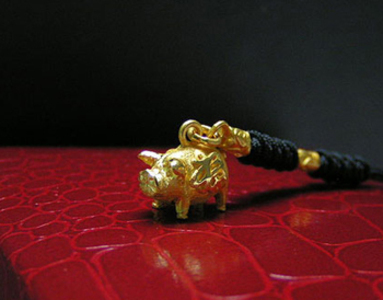 Even in an era of a record low birthrate, the Year of the Red Pig 2007 was special. A total of 496,822 babies were born that year, 30,000-60,000 more than other years before and after. The number of marriages hit the highest level that year for the period between 2004 and 2017 with 344,000 cases. The collective unconscious is so powerful that it can do something that no government policies to promote marriage and childbirth could do. People still think if they are going to get married or have children anyway, it would be better to do it in the Year of the Pig. Another hike could be witnessed in special years like 2010, the Year of the White Tiger, and 2012, the Year of the Black Dragon. The colors are a relatively new concept, probably created by the combined interest of astrologers, the government trying to address the low birthrate, and businesses wishing to make their way out of the recession. The year 2018 was the Year of the Golden Dog and 2014 was the Year of the Blue Horse. But why do people still believe in these superstitions? Prof. Kim Jong-dae at Chungang University in Seoul said, "We should see this as a transmission of folk beliefs handed down from generation to generation that still have an impact on modern life to a certain extent. You tend to be extra cautious if a fortuneteller tells you that you have bad luck today, and you can therefore prevent something bad that might happen." In China, people prefer the Dragon, and in Korea and Japan people try to avoid giving birth to in the Year of Horse. This is due to the belief that girls born in the Year of the Horse, the most obstinate among the 12 zodiac animals, are destined to have a rocky life ahead.